Compared to legendary bands like The Beatles and Queen, rock band Rooney are hitting the road and bringing their 1980s vibe music with them. 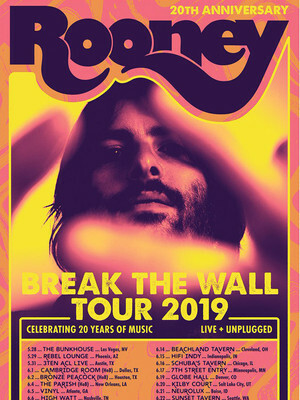 With over 20 years of music under their belts, Rooney returned in 2016 following a five year hiatus with new material and an entirely new line-up. Their most recent album, titled 'Washed Away', features single 'My Heart Beats 4 U' and 'Why'. Make sure you don't miss both the old and new sound of Rooney when they come to your town. 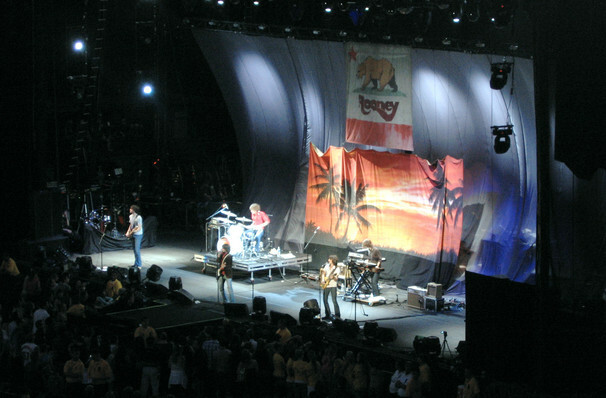 First formed in 1999, lead singer Robert Schwartzman is the only remaining original member. After announcing in a newsletter the return of the band after their hiatus, Schwartzman also announced how met new members. Previous members first formed the band together in high school, but as you age you start to connect with new people. During the hiatus, Schwartzman met up with musicians he'd collaborated with and began to record music again, the sound of Rooney was being revived. Sound good to you? Share this page on social media and let your friends know about Rooney at Sunset Tavern. Please note: The term Sunset Tavern and/or Rooney as well as all associated graphics, logos, and/or other trademarks, tradenames or copyrights are the property of the Sunset Tavern and/or Rooney and are used herein for factual descriptive purposes only. We are in no way associated with or authorized by the Sunset Tavern and/or Rooney and neither that entity nor any of its affiliates have licensed or endorsed us to sell tickets, goods and or services in conjunction with their events.